(1992) Who is Joe Vicious? Its hard not to draw comparisons to the upcoming movie Ouija to our very own Twisted Weekend 3. Twisted Weekend 3: Slacker Holocaust begins as a simple story of a group of college friends looking to spend a weekend getting loaded. Meet Lucie, the angry artist; Violet, her goodie-goodie roommate; their gay friend, Morris; their party animal fraternity boy neighbor, Bobby; and the burnouts, Chuck and Joe. Their names may be different, but you know this group. You’ve met them, you went to college with them…hey, you may even be one of them. 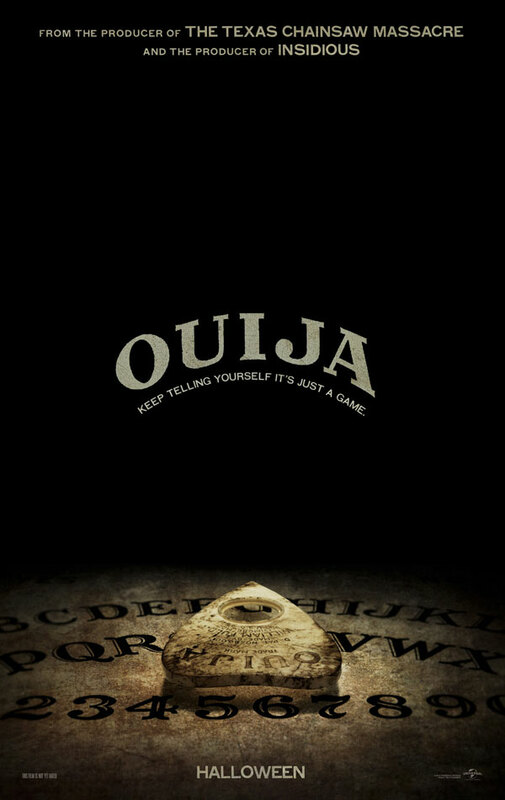 After a friend of a theirs is brutally killed in an accident, a group of close teenage friends must confront their most evil and demonic fears when they awaken the dark powers of an ancient spirit board when attempting to contact their friend, and realize that the ouija board is not just a game; it’s real life. So, what do we have, a movie made in 1996 being “rebooted” in 2014? Seem possible. A whole lot of horror genre cliches, familiar setups and lack of substance offering easy thrills for those in the mood for a jump scare? Definitely. Is graffiti activism or vandalism? How has graffiti been used throughout history to inspire political movements? Does a graffiti artist have a responsibility to use their medium against injustice in the system? How does a city balance the rights of the artists with the responsibilities of the city? In this history fair documentary by Jeannette Circe, she explores these topics while interviewing the Mayor of Fort Lauderdale, as well as street artists from Miami, FL and Los Angeles, CA. The second movie by the daughter of Brett Circe – made for a History Fair project – now ready for viewing. This documentary about the history of email – from its invention and impact on communications on our society – includes interviews with two people who were there at the beginning. The first movie by the daughter of Brett Circe – made for a History Fair project – now ready for viewing. This documentary about the history of flight – from our desires as early man, to the Wright Brothers, to rocketry and predictions of tomorrow – includes interviews with aviation experts, pilots, and an astronaut. Yes, it’s true, Google Video banned our video due to content. No, not for copyright, for content. It’s live again, this time on Vimeo. Watch PIGS here. We just loaded Damn Calm, our homage to Dead Calm, remastered and ready to view. Watch Damn Calm Now.